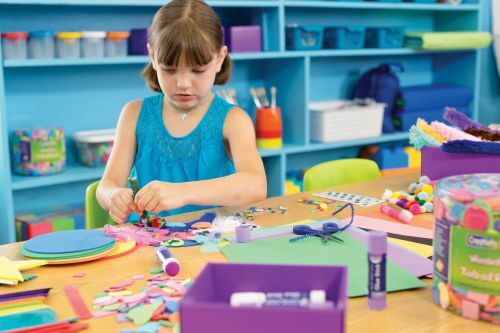 From construction paper to poster board, chenille stems to wiggle eyes, Pacon products inspire students, parents and teachers to let their imagination shine. With trusted brands like Fadeless®, Bordette®, Tru-Ray®, Riverside® and Creativity Street®, our educational and art supplies encourage creativity. We strive to provide innovative products that help teachers create functional and inspiring learning environments for their students. For more information, inspiration and product updates, please follow us on Facebook, Pinterest and YouTube! Pacon was founded in 1951 as Paper Converters, Inc. in Appleton, Wisconsin. Our product offerings kept growing, and we soon outgrew our facility within a former paper mill. In 1968 we relocated to the Casaloma Drive facility we are still operating from today. We continue to expand and grow our business to offer our customers the most dynamic range of educational products under the sun. We strive to provide innovative products for both the classroom and home. We are proud to offer brands such as Fadeless® Paper, Bordette® Borders, Tru-Ray® Construction Paper, Art1st® Art Papers, Classroom Keepers®, Creativity Street® and WonderFoam®. Pacon is proud to include Strathmore Artist Papers™, Bemiss-Jason and Superior Specialties in our family. Pacon is happy to actively partner with the below organizations and associations, along with several others. Pacon is a member of the EdMarket Association, as well as the National Art Education Association. Our Strathmore Artist Papers™ division is a strong supporter of NAMTA. TM used under license from Mohawk Fine Papers Inc.
We are proud to support Adopt A Classroom and Donors Choose to help fulfill our mission to engage, inspire, and empower teachers and students. While there are many worthy causes, partnering with these organizations makes it possible for us to better reach those in need. We encourage you to visit their websites to see the impact they’re making and learn how you can get involved. We also connect with local businesses and organizations in and around Appleton, Wisconsin to serve the education and art communities where we live and operate. Pacon is dedicated to being the preferred converter of quality specialty paper products serving customers worldwide. Pacon specializes in flexographic printing, custom sheeting, cut-size sheeting, single-face corrugating, disc ruling, flexographic ruling, micro-perfing, packaging, padding, punching, rewinding, slitting, trimming and dry erase.